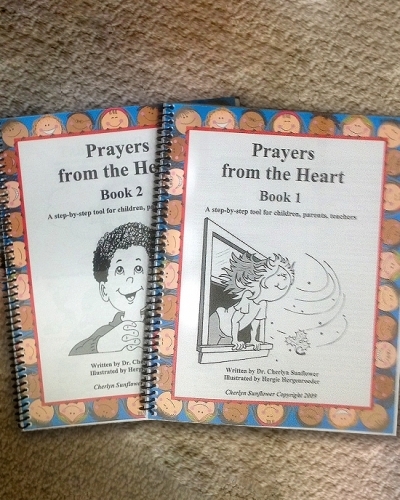 The two spiral bound books: The advantage of this form is that it is better for parents who already involved in teaching their children to pray because it has many added details. You will only be charged or the envelope and postage. $3.99 The books are free. The 3 hole punched books: The advantage of this condensed form of Books 1 &2 is that it is easier for parents who are just starting to teach their children to pray. You can place these pages in a three ring binder so it easier to turn the pages. It costs the same: $3.99.